Dave Grohl with Foo Fighters performs at Centennial Olympic Park on Sunday, October 4, 2015, in Atlanta. If you want to see the Foo Fighters perform at Wrigley Field this weekend you’ll have to leave your leg warmers, derogatory press clippings of Shania Twain and pirated VHS tapes of “Land of the Lost,” the series, at home. The iconic rock band is set to perform in Chicago Sunday and Monday, and in an email to fans, the Cubs revealed which items would not be allowed at the shows. The list included the obvious professional audio and video recording devices, fireworks, weapons, bags larger than 8x11, waist packs, mixtapes not in CD format, unflattering photos of Ryan Seacrest and containers such as cans, bottles and coolers. But it also included some unexpected items, like Creem magazines that do not mention Ted Nugent, homemade nut milks, beige or mustard colored macramé wall hangings, free radicals and any pencil that isn’t a number two pencil. You mention "Free radicals" but what about "New Radicals? 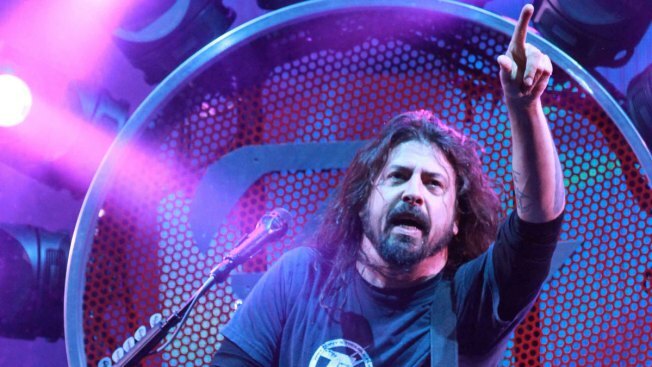 It appears Dave Grohl isn’t a huge fan of wallet chains. Who knew?